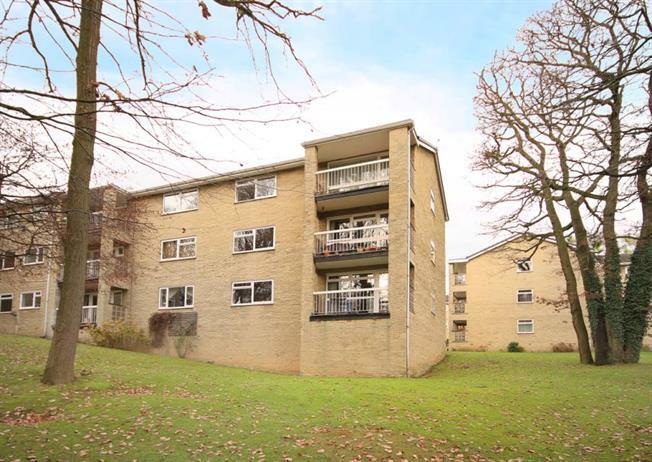 2 Bedroom Upper Floor Flat For Sale in Sheffield for Guide Price £220,000. A beautifully situated, two double bedroom, first floor apartment with garage, set amidst mature grounds with views to Endcliffe Park from the well proportioned lounge through dining room and master bedroom. This spacious and well maintained property has gas central heating, double glazing and a balcony with views over surrounding gardens. Communal Hall and Staircase rising to the accommodation. Entrance hallway with built in storage cupboards and security intercom system, superb Lounge/Dining Room with good sized balcony providing fantastic views into Endcliffe Park and communal gardens, breakfasting Kitchen with a range of attractive high gloss wall and base units and built-in appliances to include gas hob, electric oven, extractor fan and space and plumbing for an automatic washing machine, fridge/freezer and tumble druyer. Two double bedrooms both with built-in wardrobes and bathroom/W.C. with white suite comprising: wash hand basin, low flush wc and bath with mains shower above. Externally: Beautiful, communally owned and maintained grounds. Single Garage. Communal Parking. Laurel Court occupies a beautiful setting and is within easy reach of the University, hospitals and Ecclesall Road facilities. The city centre is within approximately 2.5 miles, along with ample local amenities being within walking distance and public transport links.